We have several weekends through December 2018-March 2018 that are currently available for bookings. Check out our Winter Deal or call for more details. 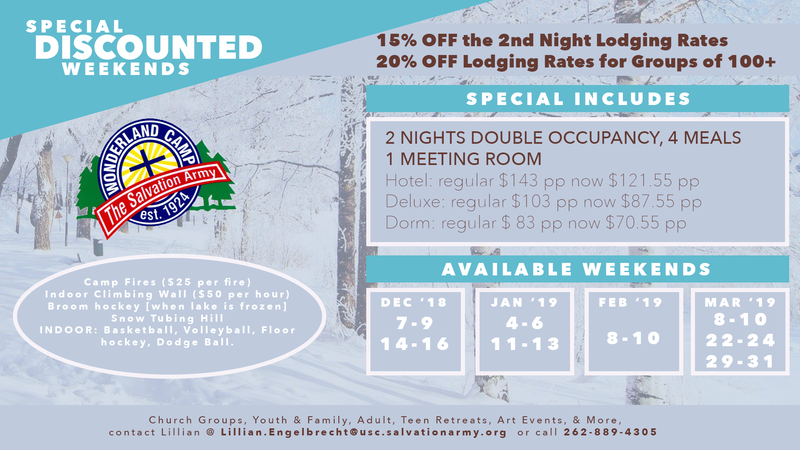 Book your Winter Retreat TODAY!